“Stonewall” was gone and Gettysburg was over five months in the past… and, despite being overshadowed by other things in other places, the Shenandoah Valley was still an active arena. 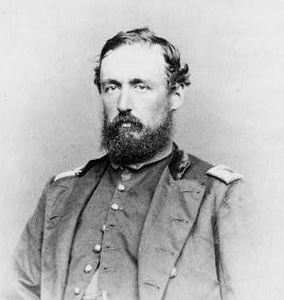 While Union Gen. William W. Averell pressed on the rail head of the Virginia and Tennessee Railroad, at Salem, his commanding officer, Brig. 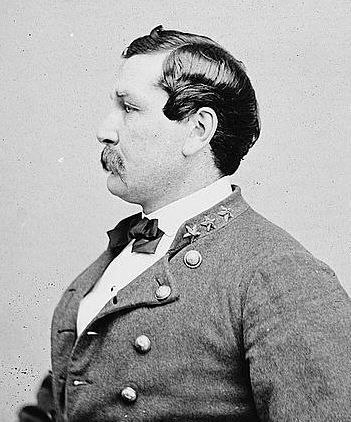 Gen. Benjamin F. Kelley, ordered two additional bodies of troops in motion to create feints to keep as many Confederates busy as possible, and prevent any efforts at concentrating against Averell. The “distraction” which I’m most interested in is… of course… here in the Shenandoah Valley. Brig. Gen. Jeremiah Sullivan (Kelley’s son-in-law) was tasked with moving up the Valley, toward Harrisonburg. Those orders, however, actually fell to Col. George D. Wells, commander of the 34th Massachusetts Infantry. On the morning of December 10, 1863… 150 years ago, today (almost to the hour)… Wells reported that he had just over 1,800 officers and men on the move. As his column of about 1,100 men (34th Massachusetts Infantry, 12th West Virginia Infantry, 17th Indiana Battery, 1st West Virginia Battery, wagons and ambulances) passed through Charles Town, heading south, toward Berryville, the cavalry in the lead (1st New York “Lincoln” Cavalry, portions of Cole’s Maryland Cavalry, and apparently elements of the 13th, 14th, and 21st Pennsylvania Cavalry) was under Col. William H. Boyd. Col. Boyd reports the map wrong, and that there is no pike from Berryville to White Post, where it is laid down. He says the road is bad by that route and for 6 miles almost impassable, and that I cannot get through there with the train. I shall therefore be obliged to keep the pike by Winchester. His plans were known to me almost as well as to himself. After notifying my superiors of Boyd’s movements as soon as he started, of his numbers, and his destination, I took fifty men, and went into the “Fort Valley”, or “Powell’s Fort,” as it is called, to lay by, let him pass, harass his rear and flanks, and save the furnaces situated in this picturesque region. Regarding Gilmor… well, my experience in reading Gilmor is what it is, and I can’t help but take him with a grain (or two) of salt. I’ve just found more than a few instances in which I’ve had good reason to doubt what he “remembered”. It doesn’t help that he cites Boyd… and not Wells… as the leader of the infantry, cavalry, and artillery that moved before him. That being said… he and Charles T. O’Ferrall will help fill in the gaps on the December campaign, from the Confederate perspective. As time permits, I’ll post more about what followed 150 years ago, this month, in the Federal advance toward Harrisonburg. It’s interesting that there are so many different dates given for the date of the burning of Columbia Furnace. Federals on the move place the date as Dec. 12. I find it particularly interesting how Henkel notes how roughly Gilmor’s troops treated the locals. They (at least Gilmor) generally went over well with the folks in the Luray Valley, in 1862. Perhaps they had, in fact, become a much more “hard set” by 1863.